A good way to start out is with this old photo showing a couple of old roadsters and ''Mr. 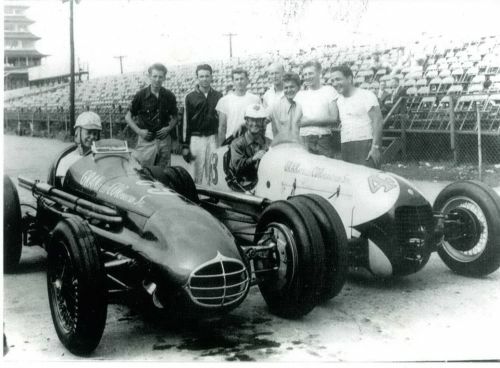 500'' Andy Granatelli on the far right. Fast forward to 2012 and some great photos from Chuck Glass of the pit row at the track and the museum.